Grayson Hall Jr., chairman, president and chief executive officer of Regions Financial Corporation, will receive Samford University’s 2016 Mann Medal in Ethics and Leadership during a Samford Network program Thursday, Feb. 25. The 7 a.m. breakfast in the Regions Room of Samford’s Cooney Hall, the new Brock School of Business building, will be cosponsored by the Frances Marlin Mann Center for Ethics and Leadership and the Samford Network. Samford students, employees, alumni and friends can register online for the event. The Mann Medal is presented by Samford’s Frances Marlin Mann Center for Ethics and Leadership to leaders or organizations whose efforts have made significant contributions to a more just and ethical society. 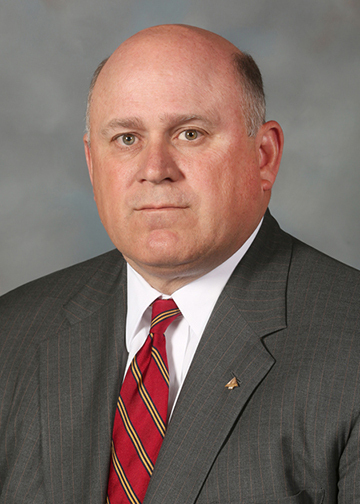 Hall was named president and chief executive officer of Regions in 2010, and assumed his current role of chairman, president and chief executive officer in 2013. Regions is a top U.S. bank-holding company headquartered in Birmingham with $125 billion in assets, operating approximately 1,600 banking offices in 16 states. Hall began his career with Regions in 1980. He is a graduate of The University of the South, Sewanee, Tennessee. He holds a master’s degree in business administration from the University of Alabama, Tuscaloosa. He attended Stonier Graduate School of Banking and executive development programs at Harvard Business School. Hall serves on the public company boards of Alabama Power and Vulcan Materials, and on the board of the Birmingham Business Alliance. He is a director on the boards of the Newcomen Society of Alabama and the Economic Development Partnership of Alabama. He serves as a representative on the Federal Advisory Council of the Federal Reserve Bank. Hall’s son, John, is a 2008 graduate of Samford’s Brock School of Business.